1:20: It is twenty past one. 1:40: It is twenty TO two. 1. It is three o´clock. 6. It is a quarter past two. 2. It is one o´clock. 7. It is a quarter to eight. 3. It is twenty five past six. 8. It is half past four. 4. It is five past ten. 5. It is half past one. Important: In English, we write first the minutes and then the hour. 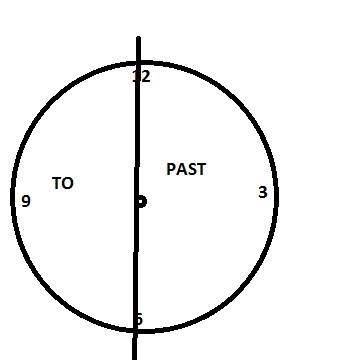 EX: It is ten to two. Son las dos menos diez. My Erasmus in Aberdeen, Scotland!! !